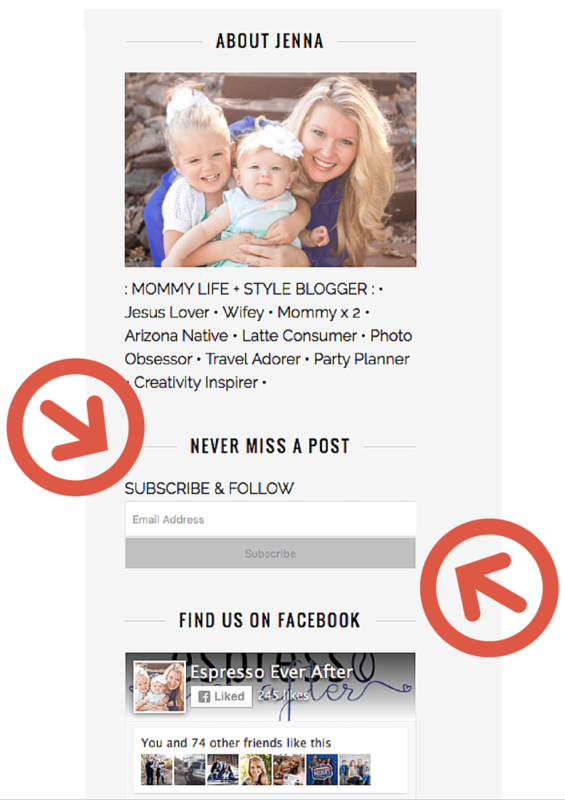 Stay up to date on my latest posts! If you want to ensure you always see ‘Espresso Ever After’ post updates… simply enter your email address on the sidebar under the “About Jenna” section! I promise: no spam, no selling, no tricks… just my blog content, and that’s it! All you have to do is enter your email address, YES, it’s that simple! Join in the FUN & Never Miss A Post!!! WELCOME to Espresso Ever After!! !